Moving Service specialises in providing a first-class removal service, whether for your office or home, in the South Harrow HA2 area. We pride ourselves on a personalised and tailor - made package for each and every one of our customers, something that we achieve through careful listening to your needs and penciling a flexible plan that we make the moving process the smooth and efficient flow it should be. We help with all aspects of house removal. We provide packing of your items, including supplying you with the right materials to protect your items and give you full peace of mind. Whether it’s a piano, a china set or expensive electronic equipment, we have all the right materials and techniques to offer full security for your items. If that doesn’t reassure you enough, then we are also fully insured. We certainly do not expect any damage but in our mind it is vital to have it, just in case to cover any of those totally unexpected moments. 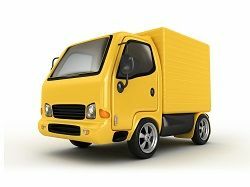 After we have packed the items into our removal van in HA2 region, our fully trained staff will transport the belongings to their new destination, whether that is a storage unit or a new office or home. Finally, we carefully unpack everything and leave it in the designated places that you think is best. We also offer any local advice about the area so feel free to ask us anything! To book your consultation today or just simply know more about our services, call us on 020 8746 4402 and our removal staff around South Harrow will help you with you enquiry. Located in the London Borough of Harrow in West London, the area is the result of urbanization that spread south and east from the charming hamlet of Roxeth. Today, there are easily accessible routes from Central London by rail and six roads that cover the centre, giving residents and visitors easy points to and from the main city centre of London. 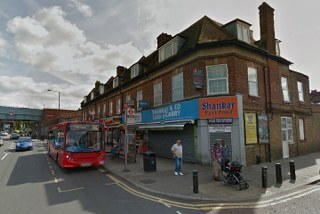 It is located in the postcode district HA2 and maintains its historical heart whilst contrasting with contemporary developments such as the newly built shopping area, South Harrow tube station and the area’s own high street, Northolt Road, which serves the residential area well with shops, restaurants, coffee shops and grocery stores. Two popular features of the area are the two main parks in the area that provide areas of recreation and leisure. There is the Alexandra Park with a children’s play area, a natural foliage area for wildlife and a fitness zone, making it appealing for all ages. The other large park is Roxeth Recreation Ground that contains ball courts, cricket and football pitches, a children’s play area and natural wildlife area. It is not hard to see why this area is a highly sought after place to live! Moving Service give full removal solutions to both office and home removals around South Harrow, HA2 so whatever your moving circumstances, we have the services and experience to help you. Our fully trained staff and efficient man and van service in South Harrow provide the most up- to- date moving plan that you can ask for. So if you are moving to HA2 region, give us a call on 020 8746 4402 today and our staff will be there to provide you with any information that you require to know more about our removals services. We also can give you a non-obligatory quote so you can see how we favourably compare to competitors. All our prices are fixed so that you will never pay more than what we quote you. They charged us reasonable rates, their movers were fast and our items arrived to their destination in South Harrow HA2 unscathed.